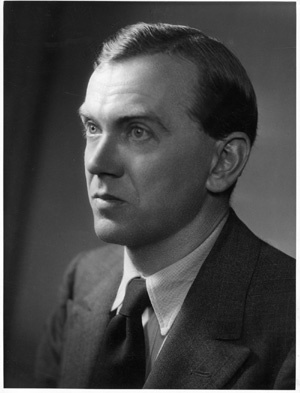 Graham Greene was established as a “Catholic writer” when he wrote three novels that were dramatic examinations of his own faith. 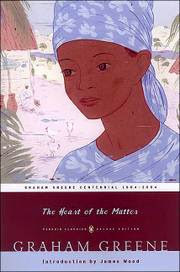 The Heart of the Matter was one of these books, originally published in 1948. The others, The Power and the Glory and The of the Affair received much more critical acclaim at the time of their release and have continued to receive acclaim throughout the years (although Time magazine deemed The Power and the Glory and The Heart of the Matter as two of the greatest 100 novels of all time http://entertainment.time.com/2005/10/16/all-time-100-novels/slide/all/). It is the main protagonist, Major Scobie, whose tragic inability to reconcile his devout Catholicism with his repeated “mortal sins”, who makes this novel still incredibly relevant today. The Heart of the Matter should be read by anyone who finds the truth of his or her life to conflict with the dogma of the church. The Heart of the Matter should be read by all those who find themselves locked outside the doors of the church whether by self-banishment or hardline fundamentalism. It is a novel for all who are foolishly outcast- women, members of the LGBTQ community, those who find truths in other faith traditions, and even those who cannot accept Biblical literalism. Are these exclusions less common than they were just ten years ago? Absolutely. Do they still exist? Absolutely and often, cruelly, a demand of change and absolution. Yusef, a diamond smuggler, and Wilson, a clumsy officer and insufficient partner in a marital affair, are foils for Scobie. But the antagonists are God and the church. They are a God who is defined by a self-prescribed servant to the teaching of the church and a church who assumes power over the mystery of God. Both these antagonists, far more than the cheats, criminals, and murderers, are cruel and unyielding. And at the hand of God and the judgment of the church, Scobie meets a tragic fate. There are far too many churches (and often the most liberal churches are small-time offenders) who create Scobies. There are far too many churches who offer the people in the pews, the children made in God’s image, an irresponsible false dichotomy- be who you are or be a Christian. Greene was a keen observer of the demands of faith and the people who try, flailing and stumbling, to meet them. The Heart of the Matter shows that Greene was well ahead of his time. The Heart of the Matter shows that many of us who claim ourselves followers of Christ are still well behind.